Alright guy, so you nailed the first date. Miniature golf went over surprisingly well, she loved the bottle of wine you bought, and somehow despite your shaky hands and grumbling stomach you locked down a good night kiss. Nice work. You deserve a high five. Now how do you go about asking her on a second date? Will a phone call do? How long do you have to wait? Want to send her flowers to let her know you had a great time? Good for you. But before you go and send her a dozen roses, think for a minute. Are you going to scare her off? Flowers are a definite way to get her attention after the first date, but don’t go overboard. Odds are if you feel like you’re trying too hard, you probably are. Here are three tips for how to send flowers after the first date. You’ve only been on one date, so don’t go and spend your life savings on flowers. Find a simple and reasonably priced bouquet. Spending too much money can potentially make her feel that you’re too invested and scare her away. Remember that not everyone is comfortable having other people spend money on them. And while a dozen red roses seem like the classic bouquet to send, hold off, as many people associate these flowers with deep feelings of love and passion. Send something basic, vibrant and colorful that will grab her attention without making her feel smothered. Attach a note to your flowers with a short, straightforward message. Keep it lighthearted. Let her know you had a good time the other night, but don’t start throwing out buzzwords like “soul mate” or “destiny.” The gesture of sending flowers already makes your intentions clear, so brevity is encouraged. Tell her you enjoyed the first date and want to see her again and leave it at that. Remember that one date is not that big of a commitment. Sure you want to see her again, but if you send flowers to her workplace all of her colleagues will likely ask her who sent them. This puts her in the uncomfortable position of having to field questions about you while she is in a professional setting. Save this move for when you’ve taken her on another five or 10 dates. 1. The Corpse Lily: This flower gets its name from the foul aroma it emits, which many claim resembles the smell of a stinking corpse. The plant projects this odor to attract flies and beetles that carry pollen from one lily to another. Scientifically named Rafflesia arnoldii, this plant has the largest individual flower on Earth, with five gigantic red petals surrounding a large opening at the center. These flowers can be up to 3 feet in diameter. They are indigenous to rainforests and live exclusively on host vines. Sadly, due to deforestation, the Corpse Lily has become endangered. 2. Hydnora Africana: Remember that scene in Star Wars where Luke Skywalker and Han Solo almost get thrown into the mouth of that giant plant creature in the sand dunes? Well, Hydnora Africana kind of looks like a smaller version of that beast. This parasitic plant is native to the deserts of South Africa, and in a similar way to the corpse lily, uses an unpleasant, pungent smell to attract carrion beetles. The beetles can easily enter the mouth of the plant but struggle to find their way out. This insures beetles have enough time to pick up or deposit pollen. 3. The Black Bat Flower: This plant originates from Southeast Asia and has unique flowers that resemble bat wings. Violet to black whiskers protrude outward and can grow to around 28 inches in length. Finding and purchasing a black bat flower can be challenging, but they are sometimes sold around Halloween as a novelty gardening item. This flower grows well in shade, which adds to its bat-like reputation. 4. The Titan Arum: Amorphophallus titanum, also known as the titan arum, can grow over 8 feet tall and weigh over 100 pounds. Despite its enormous stature, it is technically composed of many smaller flowers, which is why the corpse flower wins the battle for world’s largest flower. People are known to wear protective nose masks when viewing this flower, as legend says the stench is powerful enough to make humans faint on the spot. This plant can take up to six years to reach full bloom. 5. Snake’s Head Fritillary: This wildflower has a beautiful bell-shaped bloom with petals that look like snakeskin. They are rarely found in their natural habitat and are protected in the wild. Despite being hard to find, these plants are a great addition to a home garden. Snake’s head bulbs bloom at the beginning of spring and serve as a dazzling harbinger for the coming months of summer. 1. Venus’ flytraps are endangered. People were so fascinated with the unusual plant that they took many of them away from their native soil, eventually pushing Venus’ flytraps near extinction. 2. There are over 500 kinds of carnivorous plants in the world. They are mainly a product of low-nutrient environments. Though they survive off of photosynthesis like other plants, they require additional nutrients to stay alive. 3. Venus’ flytraps can “spit out” objects. Okay, so they don’t actually propel the object from the trap. When one of the traps catches a living organism such as a bug, trigger hairs inside the trap are contacted as the prey tries to escape, telling the trap to close. If nonliving detritus such as dirt or a rock land in the trap, the trigger hairs aren’t stimulated. So when the Venus’ flytrap regains energy, it opens up and allows the object to fall out or blow away in the wind. 4. When a Venus’ flytrap captures prey, it secretes digestive juices in a way similar to how a stomach functions. This allows the plant to breakdown its prey, although it cannot envelop the tough exoskeletons of insects. Instead, it reopens and allows the debris to fall away. 6. Despite myths brought on by the popularity of “Little Shop of Horrors,” flytraps stick to eating insects and arachnids. Of course, it is easiest to spot flies buzzing around the air and landing on the traps, which contributes to the name. 7. Some insects are too big for flytraps to consume. If a Venus’ flytrap captures prey that is too large, the particular trap often dies because mold and bacteria attack the dead insect. Venus’ flytraps can afford to lose one or two traps this way. Mother’s Day as Americans know it technically dates back to 1908. 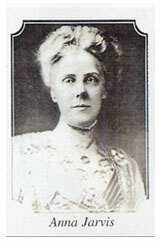 Anna Jarvis organized a formal celebration at her church in Grafton, West Virginia, to honor her recently deceased mother. As it turns out, lots of people were excited to celebrate their moms! The holiday caught on, and soon Americans across the nation were celebrating the day. In 1914, President Woodrow Wilson recognized the event as a national holiday. For centuries, motherhood has been synonymous with springtime and plants, as the two are representative of life and fertility. Flowers also emanate beauty and purity, attributes many of us associate with our own moms. Most importantly, we give our moms flowers on Mother’s Day because, well, they love them! Who could resist the scents and colors of fresh flowers? Looking for a beautiful bouquet to give your own leading lady? Teleflora’s Butterfly Serenity Bouquet is a gorgeous choice, featuring lavender roses and chrysanthemums, yellow daisy spray chrysanthemums, alstroemeria and fresh greens. Spring Sonata Bouquet will strike the perfect chord in your mom’s heart, and is bursting with color to boot! This design incorporates all the tried-and-true favorites: roses, tulips, carnations, asters and button mums. If your mom is a girly-girl, she’ll love Teleflora’s Polka Dots and Posies arrangement, which includes hot pink roses pretty white daisies. You bring out the best in others and always see the glass as half-full. Daisies are a cheerful and optimistic flower that indicate that you cherish friendships, loyalty and making others smile. You have a knack for making people feel good, and you are always the life of the party because of your infectious energy and adventurous spirit. Roses indicate that you value romance and passion. You appreciate tradition, especially when it comes to family and holidays. You are the epitome of femininity and charm, and you always strive for perfection and to bring out the best in others. You seek relationships that are deep and meaningful. If the exotic orchid appeals to you, it may mean you are a worldly and experienced person. You love mystery and naturally draw other people to you with your one-of-a-kind appeal. You cultivate a small but close circle of friends, with whom your relationships are tight and very strong. You are private but honest and kind, and you always strive to look your best. Irises symbolize that you are a very imaginative and creative individual. You enjoy exploration and change and are very open to new experiences. You are easy to talk to, honest and kind, and others value your opinions (no matter how strong they are!). You are a loyal friend and keep your promises. You are a dreamer and you tend to be a spiritual person. If lilies are your favorite flower, that means you are a very authoritative but nurturing person. You tend to take care of others, especially those you love the most. You take pride in your achievements, appearance and personal relationships, and your friends and others around you respect your opinions and experiences. Carnations are a lovely flower for people who are considered to be very level-headed and down-to-earth. You like stability and are content with your life, friends and family. You are a practical and realistic person, and your friends rely on you for advice and guidance. You may also like “Discover the Language & Meaning of Flowers” and our Glossary of Flowers page.